Investments in Big Data & Analytics on the rise: how and why? 30 billion euro, growth of 0.7% compared with 2017 and the prospect of an increase of 1.6% in 2019. These are the figures it presents Assintel Report 2019, which highlight a greater awareness, including by medium-sized companies, of the importance of ICT as a tool for improving their level of competitiveness on the reference market. Accelerators of innovation identified by the report are the Cloud (+25%),the Internet of Things (+18%), Artificial Intelligence (+31%), Virtual and Augmented Reality (+72%), Wearables (+43%) and Big Data and Analytics (+26%). “The concept of a data-centric business model,” says the report, “is beginning to show signs of concreteness and is opening the way in all economic sectors to new competitive scenarios, with implications also for IT investments”. Analysis, management, enhancement of data and information, amplified by Machine Learning, Big Data and Analytics, and based on new architectures and cloud-ready infrastructures, are among the most dynamic segments in 2019 forecasts. Looking for value in the datum is one of the most important challenges for Italian companies, considering that growth in the global volume of data is estimated to reach the record figure of 163 zettabyte in 2025. According to Assintel Report, the markets that will record a positive sign in 2019 include those linked to software for data management, such as Data Management Software, Dynamic Data Management Systems, Persuasive Content Management and software for synchronizing and sharing data (File Synch & Sharing). On the rise is also spending for analyzing and processing data, transforming them into information and generating added value. How much is being invested to give value to data? Spending on Big Data & Analytics (BDA) in Italy will reach 348 million euro, with a growth of 26% compared with 2017, and will also continue in 2019, exceeding 400 million euro. By 2019, investments will concern tools useful for knowing the orientation and opinions of customer in order to balance production lines and promotional campaigns. 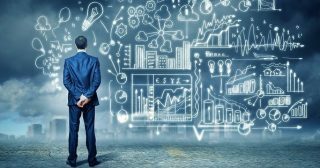 “In the last year,” says Grazia Cazzin, director of Knowage Labs and responsible for the offer of Engineering’s Big Data Competence Center, “the demand for Big Data & Analytics solutions has increased significantly and the issue ranks in different ways in almost all contexts labeled as innovative. This demonstrates that the phase of curiosity has been crossed and we are moving towards real paths of adoption, because of awareness of the potential or because convinced by the success of those who, exploiting this channel with determination, are transforming the way of doing business”. Not excluded from the interest in data are medium-sized companies which, according to the report, feel the need to understand how to exploit the potential of information gathered in a predictive perspective. Within the next two years, CIOs (as the main reference points for the control and management of analytics systems) will be joined by new functions of Chief Data Officer and Data Scientist, with specific skills in the management of multidisciplinary teams or in the modeling of wide-ranging projects. “In order to exploit the potential of Big Data & Analytics in our country [Italy, ed. ],” continues Cazzin, “we still need a cultural leap that IT itself often struggles to take, historically accustomed to working from processes rather than from data. We need to strengthen that data-driven culture which often comes up against inadequate methods and measurement models because they are designed for the most traditional software development paradigms, even if with universal acceptance of the Agile methodology (which, though not created for data-driven developments, has now cleared the principle of multiple iterations for subsequent refinements with periodic review of costs) the change has certainly been implanted. It is also necessary to work on the demand which has moved on from doubt to enthusiasm or challenge but which, without an adequate degree of awareness, struggles to express (and quantify) the real need. Courage in investments is needed because experiments in themes of advanced analytics are expensive: they must always face a space of specificity of the single reality, decisive for final satisfaction, which can also lead to paths of development that are not easy to evaluate. On the other hand, the ability to make extremely complex results comprehensible is fundamental for being able to use them in real processes and, ultimately, having a measurable return from the desired investments. To achieve this, we must also work on the capacity for abstraction and communication which hyper-specialists (from technologists to Data Scientists) often struggle to express, accustomed as they are to an industry comparison where, however, the type of activity requires an interdisciplinary approach and a less precise but more effective language in exchange and for mutual understanding”.